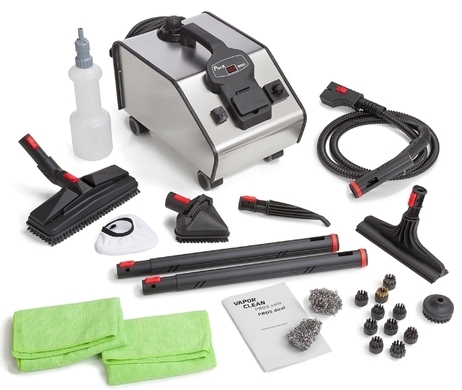 We review the TR5 Pro and discuss the good and bad features of this vapor cleaning wonder. The TR5 Pro is a heavy duty vapor cleaner that was made to surpass quality standards. Both its exterior housing and boiler are constructed from stainless steel to ensure that it is tough and capable of enduring a lot of wear and tear. The heating element is not welded to the boiler so if either one needs to be replaced, they can be easily removed. This reduces your long term maintenance cost. The boiler has a 2 Qt. capacity which only needs a mere 9 minutes before it’s ready to steam clean. You can use this machine for up to 2 impressive hours on one tank of water. These qualities make this a great commercial cleaner and it even comes with a digital microprocessor to elongate its life. No other machine in the US offers this feature which not only increases life expectancy but is also responsible for maintaining precise pressure and temperatures within. The range of pressure is from 0 to 65 psi which can be easily controlled with a variable pressure control dial and the temperatures can reach up to 302 F. It even has a digital display which shows both the current temperature and pressure. This machine is capable of maintaining and controlling pressure much better than most other machines on the market. If you think by now that this must be one ‘huge’ machine, that’s quite the opposite! It weighs a mere 15 lbs and has heavy duty casters for comfortable mobility. The power cord is 15 feet in length which we agree could have been a bit longer, however the hose is 8 ft in length which makes up for it. This vapor cleaner is very ergonomically designed and quite easy to carry around. The TR5 is great for heavy duty home cleaning or light commercial purposes. 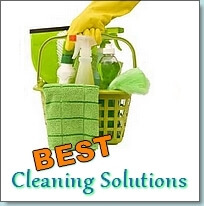 It offers some serious cleaning power backed by amazing durability and quality of construction. It will cost you around $699, however given its qualities; it is more than worth the price. So what do consumers say about this vapor cleaner? 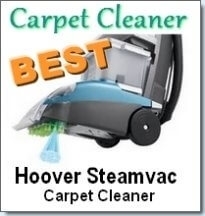 Most consumers agree that this is simply a great steamer. Many of them bought this vapor cleaner as oppose to the Ladybug because it costs less than a Ladybug. 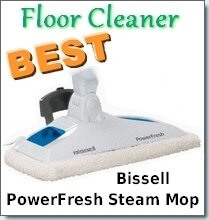 It works extremely well on cleaning tiles and grout and it will leave you floors looking like new. The few negative reviews of this steamer indicate that some found that it left a wetter surface than was expected. Also, the instruction booklet could have been written in better English as oppose to English/Italian. 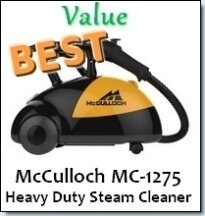 Even though it costs a bit more than most other steam cleaners, it outclasses them all in every way possible. This is an investment you won’t regret. Buy it directly from the Vapor Clean manufacturers here.